Eat, Sleep, Tinker.Chin Motorsports @ RDATL 30NOV14 - Eat, Sleep, Tinker. 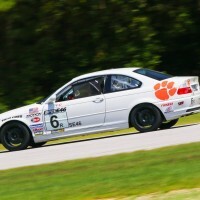 My last trip to Road Atlanta was my first time at the Braselton, GA track, and it instantly became my favorite course. The combination of flowing rhythmic sections, coupled with big elevation changes, and just the right amount of fast sections make it a great track for even street oriented cars like my E36 M3. I signed up at the last minute, literally the day before the event began, but was fortunate to get a spot on Sunday. I just wanted one day, something Chin usually does for solo’d drivers. Since I haven’t run with Chin east of the Mississippi, I was given provisional solo status, which would mean a check out ride with an instructor in the morning. I ran the track during the morning warm-up by myself, just to make sure I remembered the track and the car was alright. Then for the first session I had an instructor for the first session. Strange that I had been grouped into “Blue” on all previous Chin events, but now I was running in Green/Yellow. I suppose they are a bit more picky given that they are actually selling out their groups at these more established tracks than the newer ones they were just starting to run in Texas. The local Nissan GTR club must have organized a group run, as there were tons in attendance. Plenty of novices too, which made things a bit interesting given their speed capabilities. Fortunately everyone played nice, though we were limited to passing on the straights, which hadn’t been the case when I ran in September with the CCA. 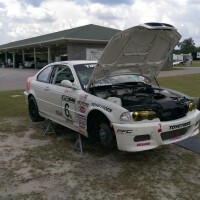 So some of the higher powered cars had to be a bit judicious with their throttle application and allowing slower cars like my 16 year old BMW around. The weather was perfect for the weekend, nice and cool, not cold and no rain. The track was as grippy as I remembered it from last time, and the car ran well. 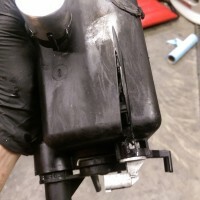 The power steering lines even managed to stay connected! My lap times also improved a bit, managing to break into the 1:47’s from my previous best of 1:50:58. Actually that’s quite a bit of an improvement, and I think I probably did a bit better. I had purchased a new phone after my last track day and forgot to pair it to my external Bluetooth GPS receiver, so all the times were based off a 1hz refresh rate. So essentially the exact points where I crossed the Start/Finish may be skewed. 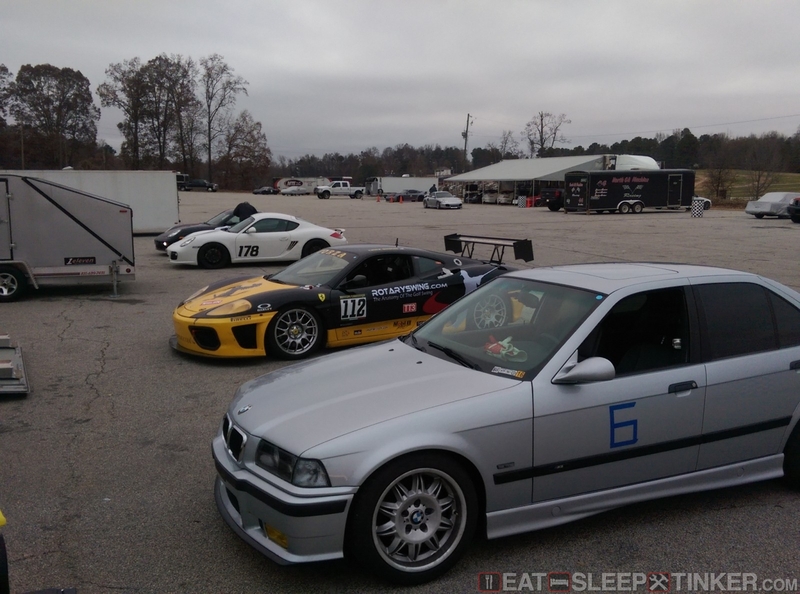 Either way it was fun to get back out on the track, especially one as rewarding as Road Atlanta. 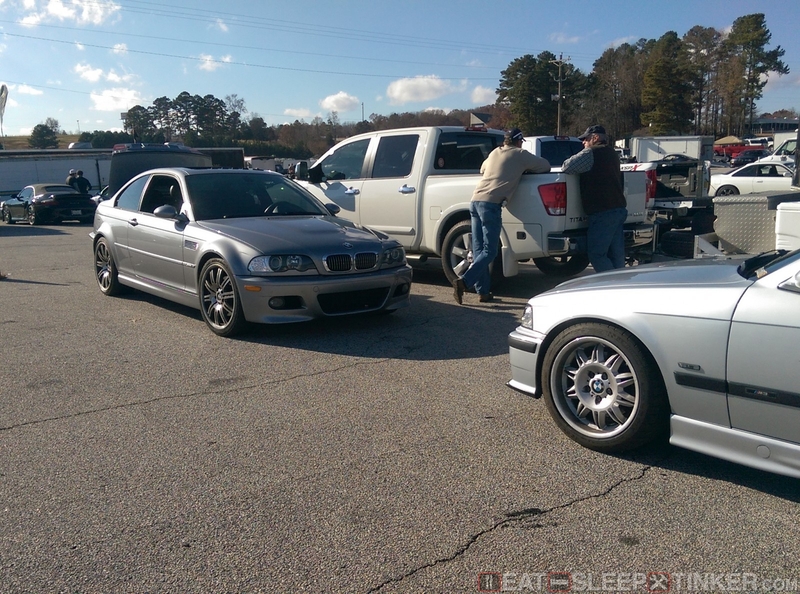 My cousin even came down from Upstate SC to spectate, taking his E46 M3 out for the parade laps. I even convinced him to take a ride with me during a session, something my father continues to refuse after his life altering experience around Texas World Speedway in a very fast S52 M Coupe. And of course I recorded some video, though the data is a bit off due to the previously mentioned issues with my GPS receiver.